The Model 152-50 Compression Test System is Lansmont’s largest member of the servo-hydraulic family of compression test systems. With a 60 inch square platen and 50,000 pounds of force, the Model 152-50 is designed to evaluate the performance of packages under compressive force including individual shipping containers, pallets, unit loads, and large bulk containers. 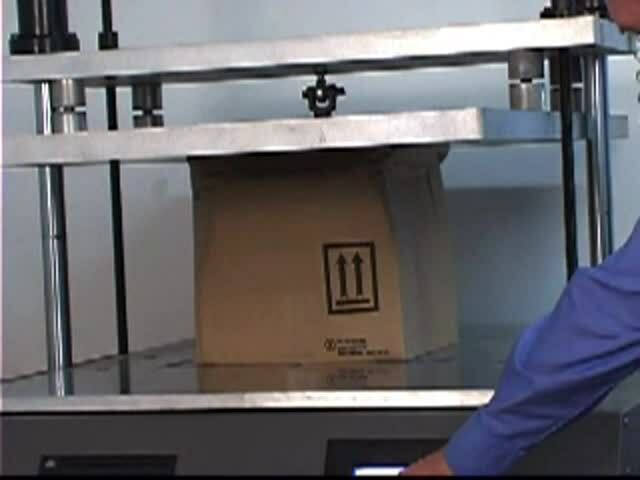 The system is specifically designed to perform all of the industry standard package testing specifications including ASTM, ISTA, TAPPI, and ISO. Built in versatility accommodates more complex user defined Load and Deflection Profiles to simulate real world conditions found in the field (Field-to-Lab™). The TouchTest Compression system integrates the test hardware, operating controls, data capture and analysis, and reporting functions. Closed-loop control and hydraulic technology guarantee accuracy, tight control, and repeatability. 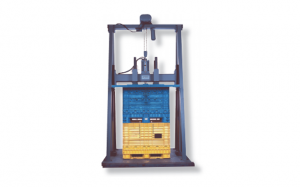 A unique “top load” machine design and low profile base plate allow for quick and convenient loading and unloading or large test items. TouchTest provides a quick and intuitive operating environment to get the job done. Eric Joneson from Lansmont introduces compression testing with demonstrations using the 152 and Squeezer systems.